TV Heartbeat! Joss Whedon returns to TV (sort of)! Jon Snow is back (probably)! TV Heartbeat! Britney and Constantine! Flesh and Bone! U2! Twin Peaks news! TV Heartbeat! 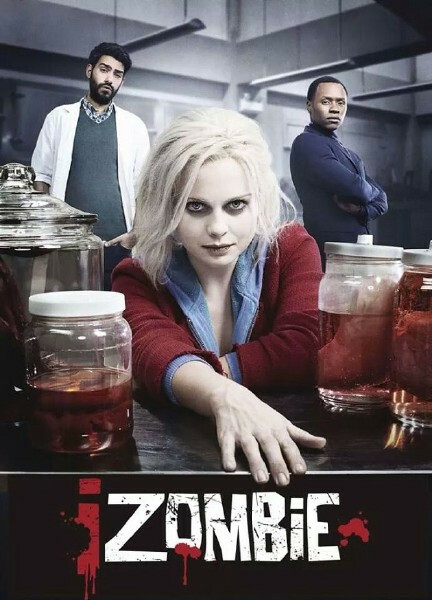 iZombie! Royals! Empire Finale! Cancellations! The Walking Dead and Arrow/Flash Spinoffs! 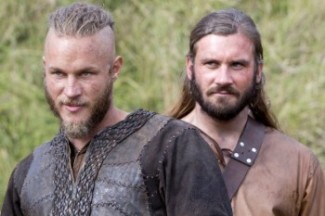 Paleyfest 2015 Los Angles Panelists Announced! Claire Danes! Tyler Posey! Sam Heughan! Julianna Margulies! Lena Dunham! And More! TV Heartbeat! 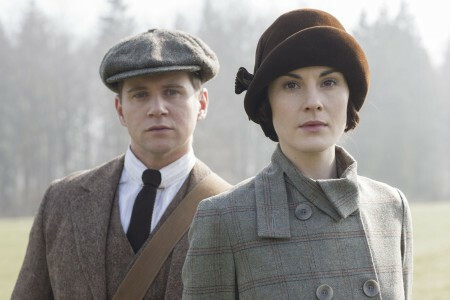 Back to Downton Abbey! Farewell Cougar Town! Hello Singing Knights and Agent Carter! The Awards That Awards Shows Forgot! TV Heartbeat Contest! 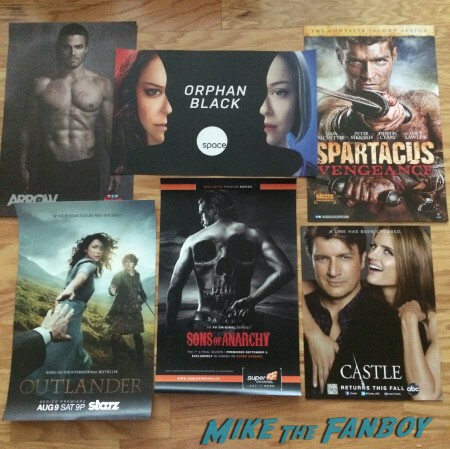 Swag from Outlander! Orphan Black! Sons of Anarchy! 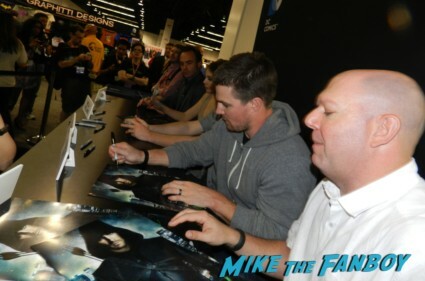 Arrow! Doctor Who! Red Band Society and More! TV Heartbeat! 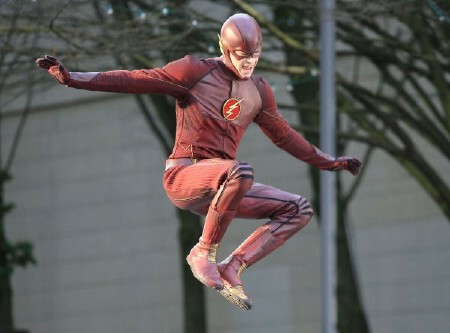 More Debuts featuring Star Wars, Arrow and Flash! Renewals and Early Health Reports on the New Season!! 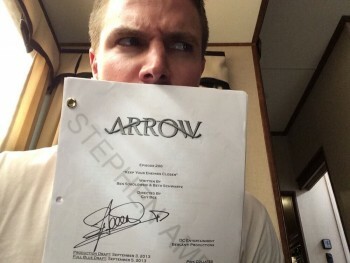 Stephen Amell Auctions Off Signed Arrow Scripts For Charity! Check It Out To Support A Great Cause! 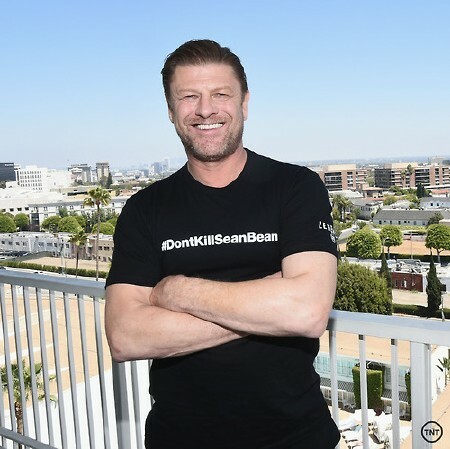 TV Heartbeat Comic Con preview! A Guide to What’s Happening in TV! Panels and Meet Ups! What’s Newsworthy! 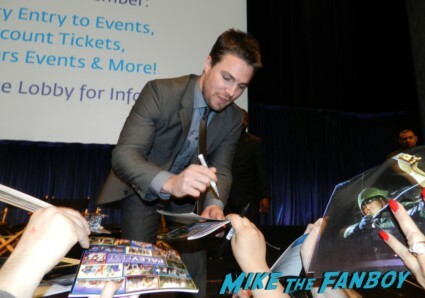 SDCC 2014!